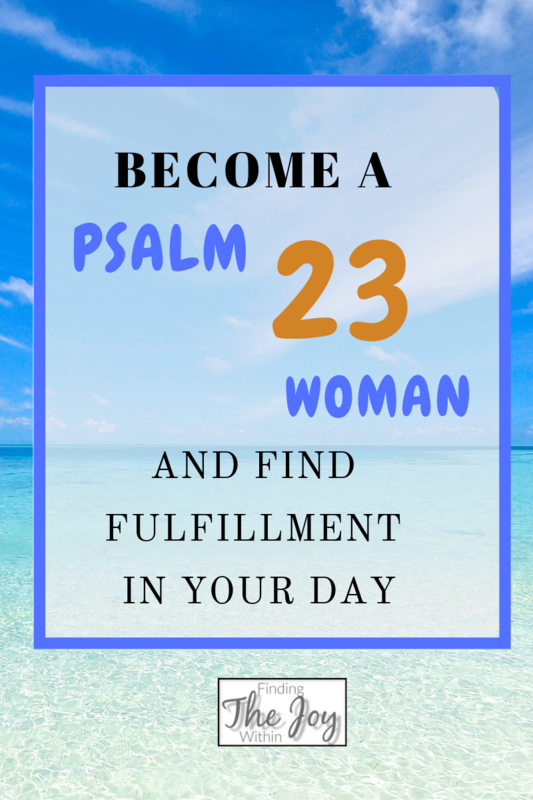 Become a Psalm 23 Woman and Find Fulfillment In Your Everyday. A dear friend and I met for coffee not too long ago. We were both excited to reconnect and catch up since our last get together some months before. As busy moms, its so hard to find time for friends but every now and then we both make it work. I knew exactly how she felt. Maybe you do too. 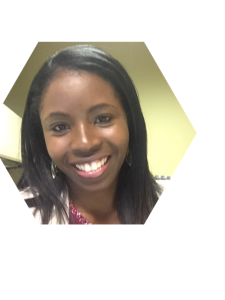 But what if I told you that I have a strategy that can help you see the joy in your work and find fulfillment in your everyday? And the secret is found in Psalm 23! One of my absolute favorite prayer is the 23rd Psalm. It is the prayer that resets me when I’m feeling down and restores my joy. Knowing that God is my shepherd reassures me so much and puts my worried mind at ease. The Psalm was written by King David, who was himself a shepherd and loved thinking of God as his shepherd. Its amazing to see God work such a transformation in David’s life; from a mere shepherd to King! He can do the same in our lives and all we have to do is trust in Him. I am not saying that you will become Queen one day – or maybe you will, God is amazing like that – but God can elevate you to places you only dream of. He can give you that peace, joy and contentment you seek. He can restore your marriage, change the heart of your children so they make good choices and make your business grow exponentially. As we near the holiday season and get into the hustle and bustle of shopping, cooking, cleaning, decorating and a million other things that will occupy our time, will you to join me in meditating a little on this little Psalm and through it draw closer to God? I believe that when we invite God into our space, powerful things will happen. Blessings will overwhelm us and we will find contentment and joy like never before. We are so lucky that as powerful as God is, He is not a domineering figure telling us what to do and enforcing his will upon us. Instead, when God is our shepherd, He becomes the one who guides our parenting, and our life’s work and He does it with gentleness and love. We can surrender all to Him. Believing that God is in charge of everything can change so much in your life. 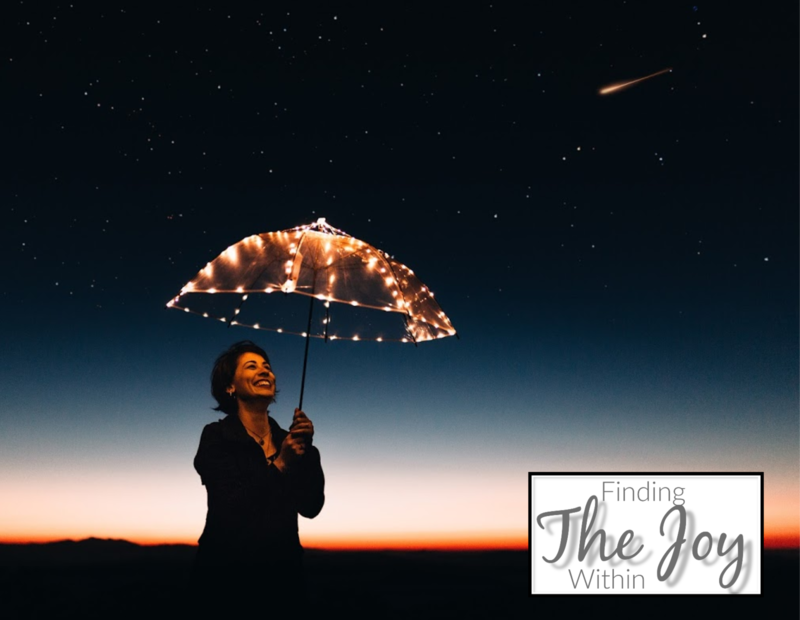 Whether you are a stay-at-home mom, working-from-home-mom, working-outside-the-home mom or anything in between, this simple knowledge can really make an impact on not only how you see your everyday work, but also the level of joy with which you do it. When I was a stay-at-home, I loved it but there were definitely days when I got into a funk and thought that my work as not being important enough. The daily tasks of laundry, dinner, making lunches, grocery shopping, all began to feel so….boring. Everyday was similar to the one before it. But then I realized, I was missing out on so much more because I wasn’t focused on the blessings that were already before me. God was with me during that season of my life and there were lessons there that He wanted me to learn. I would never want to miss out on anything God had planned for me so I started paying attention. I prayed more. I organized my day so that I was in charge of it and not letting the day pass by like any other day before it. I surrendered my boredom to God and He replaced it with new and wonderful things. I created a face-painting business, and started running races again. I believe that God knows our today, our tomorrow and our forever. He has seen our future and He knew you would be in this current situation during this season of your life. He knows you and me! And because He knows us better than we know ourselves, might we consider entrusting our future to His loving care? So what happens when we make God our shepherd? You become a contented woman: Having entrusted your children, family, work, your home, your health and everything to His care, you will find yourself living in a state of contentment. This is not to say, that you are smiling all the time, and skipping on a rainbow, because life will still happen to you, but you will worry less because you know that God has your back. Though there is darkness sometimes, He will always be there to take care of everything. A contented woman trusts in God’s blessing, knowing that He is always by her side as she mothers her children, cares for her home and makes plans for her future. You parent and work with joy: You view your everyday work of mothering your children through different lenses when you look at your role as one given to you by God Himself. 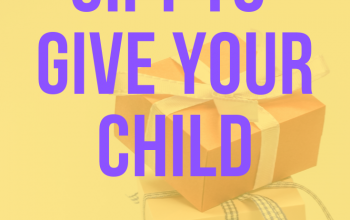 He has commissioned you to be the mother of those children and rest assured that He will be there every step of the way to help you raise them. Similarly, if you work outside the home, God knows all the challenges you face, and has a solution for every problem that will come your way. No matter what season of life you are in right now, know that the job you are doing is important and you have everything you need to mother your children well. You become more prayerful: As you look to the good Shepherd for guidance, you make it a priority to stay close to Him. You pray more, spend more time reading His Word and meditate on them and you share your knowledge with others. As you pray more, you dray closer to God and in turn are able to discern His plans for your future. You glow with an inner joy: When you place your trust in the Lord, you feel a sense of peace, contentment and joy. It is a joy that can never be taken away and it is one that your family and friends will notice. With God as your shepherd you believe that whatever season you are in, God has assigned you a tasks that you alone can complete. That’s why He created you – because He has something you need to do here. This belief alone should make you jump out of bed each day with a renewed sense of purpose and hope. You should wake up ready to find out how God will show up in your day. You are more thankful: You are quick to give God praise and glory because you view every blessing as coming from Him. Knowing that He will give you that you need and meet all your needs, means that you praise Him even before you receive His blessing. You anticipate that God’s goodness will always be with you because you are living a life of complete trust in Him. I’d love to know what is your favorite Psalm? Please share below. 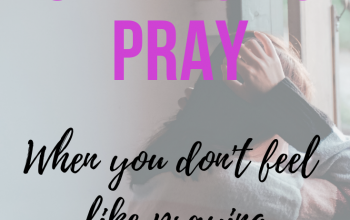 Visualization changed my prayers + tips on creating your own! Thanks for sharing your joy and encouragement! I was a stay-at-home mom for many years, too, and although it comes with challenges (when is parenting not challenging?!!) I was filled with a sense of God’s purpose during that time. I love Psalm 23, too, but the one that has guided my faith and relationship with Christ the most is Psalm 139. I loved being a SAHM when my boys were little. I can remember having lots of adventures together – riding bikes on a nearby rail trail, hiking in the woods, turning over rocks to find critters, bringing apples and carrots to feed some horses who lived close to our house. There were times I was bored, but I found a group of other young moms to hang out with, and we had a lot of fun together. 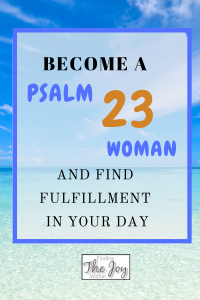 One of my favorite Psalms is 34. I especially love verse 14, where we are instructed to seek peace and pursue it. I love Psalm 23, too. Hi Eva! I’m so glad we connected today. You shared such wise words here, and point #4 about glowing with an inner joy, really spoke to me. Thank you so much for reminding me of these beautiful truths.